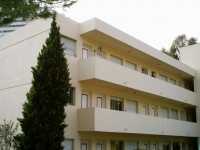 Prime located apartment block with 8% occupancy and many apartments with sea view. Permission has been granted for the construction of a further tranche of 20 apartments. Good access to the sea, facilities and the road and rail network just 15 minutes or less to Nice Cote d'Azur Aeroport. This area is always targeted for residential and holiday enjoyment and currently this must be one of the prime investment opportunities and building sites in the whole region. Click here for more properties in this region. If this Apartment block and building land for sale looks interesting PLEASE BOOKMARK this page - ADD TO FAVOURITES - or print it now so that you can show the family . . .